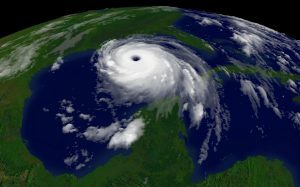 You are here: Home / General Information / Animals Today September 2, 2017: Preparing for Natural Disasters. American Bar Association supports TNVR programs. So ya wanna bring your emotional support animal to Europe? Can music soothe our pets? The show begins with Lori’s chat with Jeff Dorson of the Humane Society of Louisiana, first broadcast last fall, about disaster preparedness for pets. Make sure you have a plan! Plus, we recognize National Dog Day with surprising facts about how much we love our canine companions. 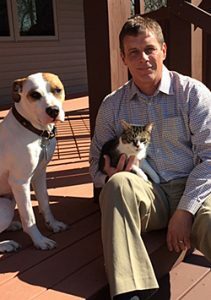 Peter then welcome Best Friends Animal Society attorney, Richard Angelo, to explain why the American Bar Association has adopted a resolution to support trap, neuter, vaccinate, release programs in all communities. David Kirk, co-founder of Forever Meow in Palm Desert has a challenge on his hands because his daughter wants to bring her emotional support cat to University in Ireland. Accomplishing this has demanded some research and many phone calls, but things look favorable for a happy journey for both fliers. David shares what he’s learned about flying to Europe with animals. The show concludes with a discussion with Janet Marlow of Pet Acoustics, who explains how sound and the correct music can provide a calming influence to dogs, cats, horses and birds.